Winter is here. Boy, winter is here with a statement as a blanket of chill continues to cover the East Coast and spread across the U.S. in what has been one of the coldest winters in decades. So what is a fisherman to do? Well, if you hadn’t already thought of it, this cold spell provides us the perfect opportunity to take stock of our fishing gear and do some general off-season maintenance. 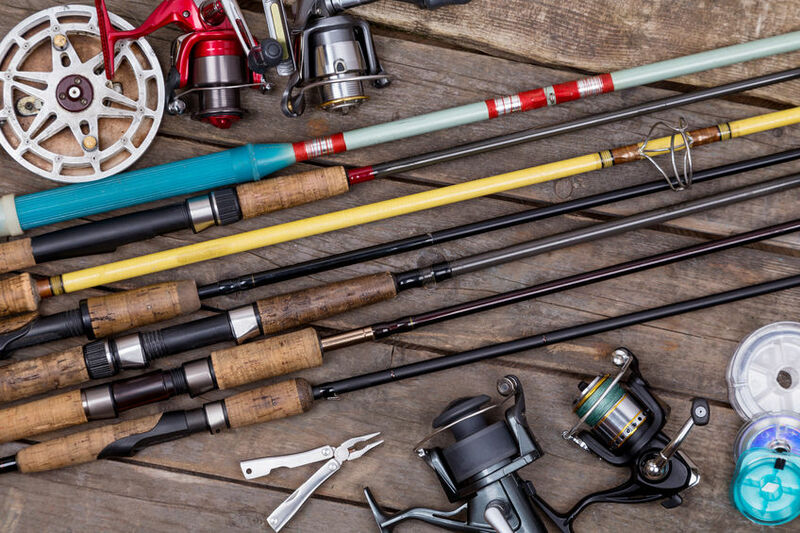 Fishing gear has the potential to last a long time with proper care and a maintenance schedule in place and the winter months are a practical time to think about working on your retired-for-the-season fishing gear. Plus, by performing your maintenance now, you are less likely to miss out on the action when the fishing season starts. Taking the right steps in the winter will mean you not only prolong the usable lifespan of your fishing gear but will also avoid any nasty surprise come springtime. 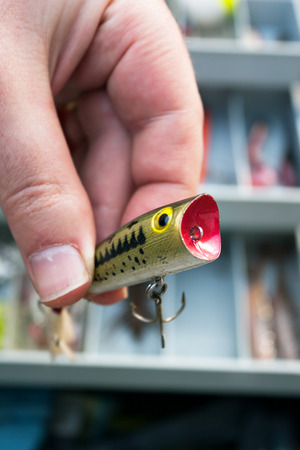 So, let’s take a look at a few useful tips to help maintain your fishing gear. There’s no time like winter to get to work on cleaning and maintaining your fishing reels. They are a major investment and one part of our fishing tackle that often gets neglected, if not sometimes downright abused. The rigors of the fishing seasons can really take a toll on reels. But with a regular schedule of cleaning and lubricating, it is very easy to extend their usable life. A simple solution to take care of your reel is to invest in one of the maintenance kits that includes everything needed to get your reel back to – if not almost its pristine, like-new condition – at least a state where it functions optimally. Typical cleaning and maintenance kits have items like a silicone treated towel, brushes, cleaning swabs, a multi-tool screwdriver, and reel oil and grease. A properly cleaned reel involves working on the inside and outside. Ideally, start on the inside and lubricate springs and gears. The reel has numerous movable parts and it is necessary to apply either grease or oil to them at least yearly for trouble-free operation. Read the manufacturer’s guidelines to know which parts need an application of grease or oil. If you didn’t keep the manufacturer’s maintenance booklet that came with the reel (something I often did not do in my youth), go online to the maker’s website and get the information there. Most reel brands have detailed schematics and instructions on the various models they sell. Once the reel is fully lubricated inside and out, you may also want to strip out the old fishing line and replace if needed. Remove the sun weaken and old aged lines from the reels at this time of year but wait to re-spool with a fresh line as you get closer to the upcoming fishing season. Any reel that is re-spooled straightaway and left for the winter runs the risk of line memory setting in over time. Also, it is important to back off any drag on your reels prior to lay-up for the winter to minimize stress related issues on the washers and further extend their usable lifespan. If you aren’t entirely sure how to clean the reel, it may be more practical to take your reel collection to a reel specialist or a reliable local tackle shop for proper maintenance. I’d like to end with a note here about using solvents such as WD-40. Yes, I use to spray nearly all my tackle with it at one time, because growing up it was like duct tape – people swore by it and used it on practically everything. You can still use WD-40 on the outside of the reel to clean it if it is very dirty or gunked up with something that water won’t remove. But, remember, it is mainly a solvent, not a lubricant. This is why mechanics spray it on rusted, stuck parts. Don’t spray inside your reel with any solvent – it will only strip away whatever grease or lubrication is in there. Stick with products specifically made for internal reel lubrication. The winter is also a great time to clean and wipe down your dozen fishing rods. Use an appropriate protectant on the actual rod and a non-abrasive soap on the cork handle. If you do detect holes or cracks in the cork handgrip it is wise to attempt any minor repairs now to avoid further damage which will become a lot more complicated to repair later on. Inspect each of the guides. Look for signs of abrasions and replace any guides showing the first signs of damage. You don’t want to lose a guide ring in the middle of fighting that fish of a lifetime. Also inspect reel seats, hoods and lock nuts. Chances are they can also benefit from a good cleaning. Remove any debris such as sand from between the seat threads. Make sure to apply a high-quality protectant that not only avoids leaving behind any residue but is also environmentally safe. Also, make sure to pay special attention to the ferrules on a two-piece rod and replace or repair as necessary before the start of next season. Once the rods are clean and ready for storage is it essential to store them properly. A practical storage option is the rod sleeves that come in many different sizes and colors. They aren’t too expensive and will easily keep the rods safe until needed next season. Fishing rods are best stored vertically and avoid leaving in a hot place. Over a prolonged period of time, heat can weaken the rod and leave it more likely to break when under pressure – such as when fighting a big fish. Most anglers will have more tackle then will ever need – I know I do. So the off-season is a practical time to get organized and sort your overstocked, cluttered tackle box or boxes. Carefully sort the used terminal tackle, line, hooks, hard baits, plastic baits, etc. to determine the general condition and decide on which items need to be scrapped, repaired or replenished for the upcoming season. With a good inventory of your workable fishing tackle, you will be in a better position to know exactly what items to buy and avoid buying unnecessary tackle. In addition to the tackle, you also want to check your tools and similar items of hardware. Any angler will benefit from a well-kept inventory of tools, such as pocket knives, clippers, pliers, scissors and so on. I like to keep these items in a bag with the tackle. Any individual items of bait that are damaged should be repaired or replaced at this time. Inspect your lures for signs of damage and change out the hook if necessary. On many occasions, a 4.5-inch file is an effective tool to sharpen the hook point. However, if you detect any hook point that is turned or bent – it is best to simply replace the hook. Replacement hooks can be purchased in bulk and are relatively inexpensive. Shine up spoons and blades, replace split rings and bad eyelets, and repair cracks with a little nail polish. Any spinner skirts that are starting to lose their color or shape should be replaced. Also, it is useful to store the tackle in the correct manner to ensure it is in a usable condition for next season. Rubber or plastic baits are best stored in separate compartment boxes to minimize the risk of damage. Take advantage of the cold weather and the time spent indoors or times of unfavorable fishing conditions to keep your fishing gear in tip-top shape by performing maintenance, fixes and other steps. Not only will your fishing gear last longer and look good, but you’ll also be ready when the next fishing season rolls around. Let’s hope this deep freeze breaks soon, but in the meanwhile, there’s some fishing gear that needs my attention. Stay warm, friends. This entry was posted in Fishing Tips & Other Wonderings on January 5, 2018 by Dorado.